First single, ‘Weapon of Love’ reached #4 on the iTunes Singer Songwriter charts in June 2018. Rach’s younger brother, Liam penned second single, ‘I Wanna See You’ which charted #2 on the AMRAP Regional Charts and found great success on Triple J’s Roots ‘N’ All. 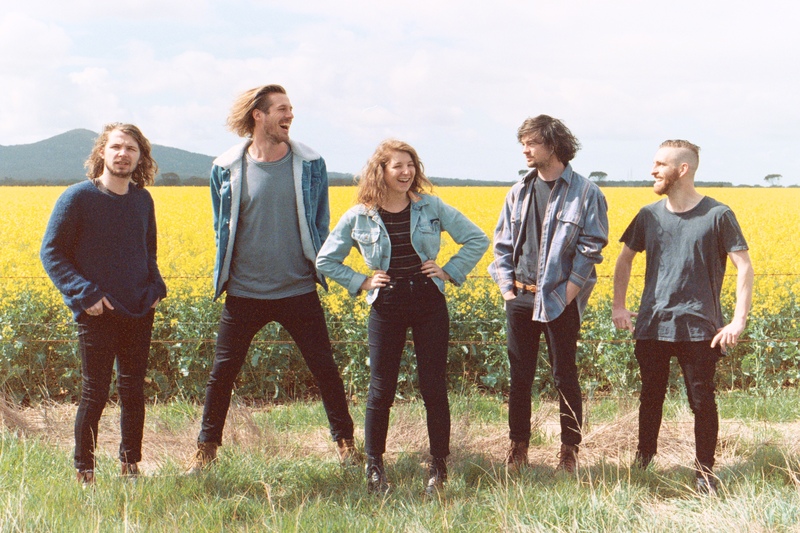 The final pre-album single, ‘Hindsight’, is currently on Triple J Unearthed rotation and has scored multiple plays on Triple J and sister station, Double J. When it came time to capturing the performance of the album, the band approached accomplished producer and engineer Lee Bradshaw (The Kite Machine, CAS) to oversee the recording process at Burwood Sound Studios. In search of an organic recording process, the band opted to record the tracks live. The rich, lush vocal style of the record was achieved with all the voices recorded around the same microphone with all members contributing. So, how did the album come about? The talented Rach Brennan, initially began her musical journey as a solo artist, capturing confusing emotions relating to life and love and performing them on stages in her hometown of Geelong at the age of 17. Clearly channeling the sentiment of The Lumineers and the spirit of Dolores O’Riordan, it became apparent that to fully realise these compositions she would need a band. With her brother and longtime collaborator Liam Brennan she set out to form ‘The Pines’ – four remarkable vocalists, instrumentalists and performers in their own right. It wasn’t clear until after the formation of their group that what they were discovering together was indeed an album. A broader theme of coming-of-age became evident as the songs took form. The record opens with ‘Underground’, the relatable story of a lover who’s only just holding on to a relationship. It is the naively confident precursor to the empowering album closer ‘Better Lies’, where the story comes full circle with Brennan offering advice to a close friend, evidently changed by her recent emotional journey. Between these stand-out bookends lies the bubbly and infectious ‘Hindsight’ which emerged as the older and wiser sibling to the equally effervescent ‘I Wanna See You’. Both tracks overflow with fizzy, lust filled desire; shameless and unembarrassed in their sentiment. ‘Bones’ offers heart-on-your-sleeve vulnerability and, while upbeat in its musicality, the many harmonies and voices only add to its heartbreaking message. This transitions smoothly into the following track ‘Weapon of Love’. Harrowing and humble; Brennan is in her element in every fragment of this piece. The songs are by turns jaunty and playfully arranged, underpinned by the multi-instrumental talents of ‘The Pines, ‘Slippery Slope’ and ‘I Wanna See You’ feature winding guitar leads by Levi Anderson. The impressionistic and dramatic ‘Bones’ and ‘Weapon of Love’ highlight the velvety organ spills of Cam Jerabek. These tracks (and all the tracks on the album for that matter) are supported by the carefully curated rhythm stylings of Kane Sherriff (drums) and Liam Brennan (bass).